We never had a chance to work with Nikon equipment for video production. We never even meet anyone using it for video. In most cases it was Canon or Panasonic (Lumix line), nowadays Sony takes the most videographer market. If not with A-series of mirrorless photo cameras, there are even many more other professional video cameras to choose from (FS100, FS700, FS5, FS7, F5…). Canon has too invested in video camera market with C100, C200, C300, and C500. While Nikon has no video market. It had some bright days in the time of Canon 5D Mark III when Nikon D800 was actually a better choice for videographer. 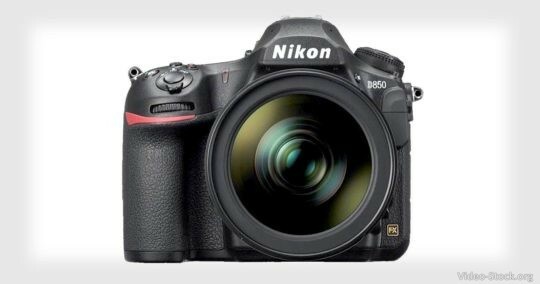 Until Magic Lantern hacked the Canon 5D Mark III with almighty cDNG capabilities, then it was a game over for the Nikon. Since then there was nothing from Nikon. Maybe the photo market industry where Nikon shines best has a different story. But like we said, in the beginning, we never had a chance to work with it or know anyone that would show us how good can it be for videographers. Can Nikon D850 compare to Canon 5D Mark IV or Sony A7RII/A7SII? From a videographer standpoint, it can. Because it has more pixels it can use the whole sensor for full frame video shooting in 4K. We can’t yet say anything about old H264 video codec it is using, but we sure do miss the 4K 60fps video recording option. With that, it would stand out against the Sony A7RII/A7SII, but now it is on par. Canon 5D Mark IV maybe has a better video codec and eye-catching footage, but 1.7x crop video shooting in 4K is a big turn-off. It is unclear if Nikon D850 will be able to record 4K on to SD card because it is a UHS II standard which supports very fast transfers. We wouldn’t be happy investing into expensive XQD cards. Nikon 850 has some great features on paper, but if it could stand out on photo and video market it is yet to be seen. Could it be used for stock footage video production? Sure, why not? It has everything that a video shooter needs. It is not perfect but which camera is today.